Three series that are not “cat cozies” (and one which is), that do feature cat P.I.s who really investigate, are the Manx McCatty Adventures by Christopher Reed, the Sam the Cat Detective novels by Linda Stewart, the Buckley and Bogey Cat Detective Capers by Cindy Vincent, and the Cats on the Prowl books by Nancy C. Davis. These are fantasies where the cats do all the detecting, mostly in feline societies. The first two are hard-boiled P.I. pastiches set almost entirely in the feline world. A Manx McCatty Adventure: The Big Scratch. November 1988. Manx McCatty, a streetwise San Francisco feline P.I., is hired by “respectable cream-lickers” to break up Gato Nostro crimelord Tabby Tonelli’s racket of snatching gentle, comely female housecats to sell into prostitution abroad. Reed apparently considered this as the first in a series, but the Ballantine original paperback didn’t sell. A sequel was written, but wasn’t published until October 1996, and then only in Germany as Der Fluch der Weißen Katze: Ein kerniger Katzenkrimi. Translation: The Curse of the White Cat: A Polynuclear Cat Crime. The Big Scratch was translated as Die Katzen-Gang the previous year; both by Bastei Lübbe Verlag. Cats on the Prowl, by Nancy C. Davis – book reviews by Fred Patten. Melbourne, Victoria, Collins Collective, August 2015, paperback $7.89 (iii + 176 pages), Kindle $2.99. Melbourne, Victoria, Collins Collective, October 2015, paperback $7.98 (iii + 174 pages), Kindle $2.99. Melbourne, Victoria, Collins Collective, November 2015, paperback $7.98 (iii + 170 pages), Kindle $2.99. They are set in very large type. They would probably be less than 100 pages each in normal-sized type. Nevertheless, like most cat cozies, they are presented as adult novels, although they are more suitable for Young Adults. It also depends upon how you define “cat cozy mysteries”. They are usually light mystery novels with a human young woman amateur detective, who is helped or at least followed in her investigations by her pet cats. The three Cats on the Prowl novels are unusual in having anthropomorphized cat detectives doing all the crime-solving. This third animal crime series is what I consider to be the first in which the cats genuinely detect to solve human crimes. No pussyfooting in the background while the human amateur detective solves the crimes. This is the Joe Grey series by Shirley Rousseau Murphy. Joe and his feline assistants Dulcie and Kit are talking cats fully in the human world. They have their human helpers, but they do all the important detecting. There aren’t as many Joe Grey novels as there are Midnight Louie or Mrs. Murphy novels, but there are eighteen; and there will be a nineteenth next February. Cat on the Edge. April 1996. Cat Under Fire. November 1996. Cat Raise the Dead. May 1997. Cat in the Dark. January 1999. Cat to the Dogs. January 2000. Houston, TX, Whodunit Press, November 2011, trade paperback $9.97 (162 pages), Kindle $2.99. Houston, TX, Whodunit Press, October 2013, trade paperback $9.97 (170 pages), Kindle $2.99. Houston, TX, Whodunit Press, September 2014, trade paperback $9.97 (242 pages), Kindle $2.99. Houston, TX, Whodunit Press, October 2015, trade paperback $10.97 (222 pages), Kindle $2.99. “Cat cozy” adult mystery series in which talking cats actively detect crimes have become very popular, though arguably more with cat-fanciers and some mystery fans (others revile them) than with furry fans. The Midnight Louie series by Carole Nelson Douglas, the Mrs. Murphy series by Rita Mae Brown, and the Joe Grey series by Shirley Rousseau Murphy have made cat-detective fantasies both popular and respectable. Here, then, is one for the kiddies that should also be called to furry fans’ attention, especially since it is not obvious on the Amazon.com listings that these are juvenile rather than adult novels. These four Buckley and Bogey Cat Detective Capers by Cindy Vincent are attractive trade paperbacks published by Vincent’s own Whodunit Press, “A Division of Mysteries by Vincent, LLC”. 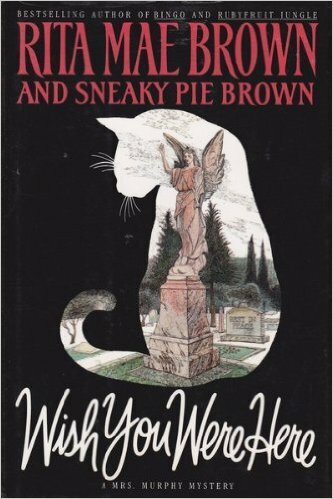 They are talking-cat detective novels recommended for middle-grade readers, ages 8 to 12. Frankly, they are overly cute adventures mostly suitable for the younger end of that range, which is why I described them as for the kiddies rather than as for kids. As is typical with the most banal of this sub-sub-genre, all the cats can understand human language. In this series, they even regularly speak English as well, except when humans are listening. Inhuman Acts; A Collection of Noir, edited by Ocean Tigrox. Dallas, TX, FurPlanet Productions, September 2015, trade paperback $19.95 (316 pages), Kindle $9.95. Stanley Rivets, the stereotypical sable P.I. who tells these stories — “A sable in a long beige trench coat sits behind the desk, dark ears perking at the entrance of the newcomer. The wide brim of his fedora raises to see what visitor would stop by this late at night.” –p. vii. He wears his trench coat and fedora while sitting in his office? Well, maybe he’s just returned, exhausted, from a case — appears only in the very brief Foreword and Afterword. Too bad. It would have been nice to get a full story with him. Rivets tells 13 stories; not cases of his own, but 13 that he’s heard of. Ocean Tigrox has started out with one of the best here; “Muskrat Blues” by Ianus Wolf. It’s specifically a pastiche of The Maltese Falcon, with Mike Harrison, a pig P.I., investigating the murder of his best friend, another P.I. – a muskrat; two prey animals in a grim & gritty city where the prey animals are usually at the bottom of the anthro-animal social pole. But Alex Richards didn’t take any guff, and neither does Harrison. Wolf packs a neat summary of Hammett’s novel (or Warner Bros.’s movie; take your pick) into a taut 25 pages of noir, with enough originality that even if you’re a fan of The Maltese Falcon, you’re not likely to guess whodunit. And enough presence of predator & prey animal traits to make this a satisfying furry story, too. I have written lots of reviews of French talking-animal comic books. It’s time to also cover talking-animals in text in the mystery/detective novel field. Here is a profile of one of the oldest series of all; the Midnight Louie novels by Carole Nelson Douglas. Future articles will present other cat crimebusters, dog detectives (mostly the Chet and Bernie series by Spencer Quinn), and a whole slew of German animal sleuths from Akif Pirinçci’s brutal Felidae novels to Moritz Matthies’ “ultra-cool” novels about meerkat detectives who sneak out of the Berlin Zoo to investigate animal murders. This is a sort-of milestone in the annals of the cat crimebusters. By that, I mean the feline murder mysteries that have been so popular among mystery fans for the past three decades. And I don’t mean all the “cat cozies” in which an unanthropomorphized pet cat tags along with the human amateur detective while she solves the crime. I mean those in which the cat is the real detective – and usually the narrator – finding the clues, and surreptitiously batting them out for the human amateur detective or the police to find.